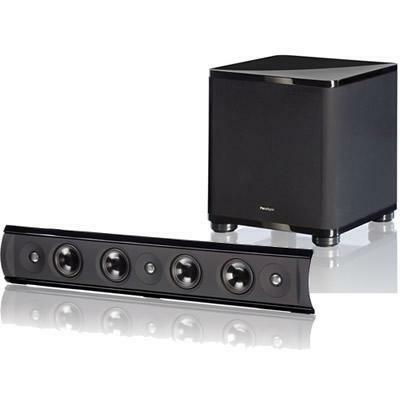 Cinema Trio: On-wall left speaker & right speaker & center speaker; 7-driver, 3-channel, 2-way acoustic suspension, option to sit speaker on table or shelf with supports included. 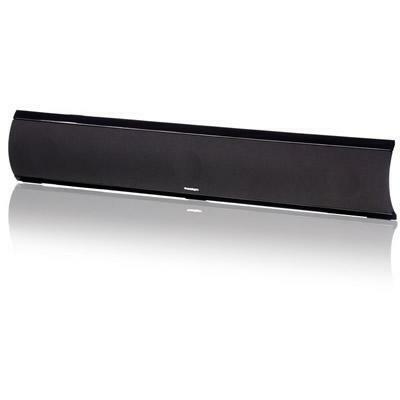 Cinema Sub: Single driver, bass reflex, high-velocity low-turbulence resitive ports, built-in amplifier, flexible positioning; Gloss side up or cloth side up with feet. Brand/Model Specific Features Dimensions are for the entire enclosure. Amplifier Type Built-In High-Current, Discrete Output Amplifier: 300 watts Dynamic Peak / 100 watts RMS Sustained. Brand/Model Specific Features Auto-on; standby; soft clipping. Superior 8" High-Excursion Driver. Dual Ported Design for even and articulate response. 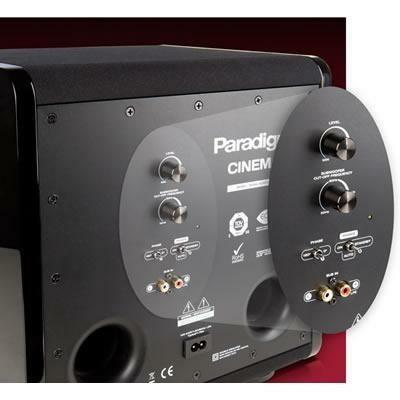 Built-In High-Current, Discrete Output Amplifier: 300 watts Dynamic Peak / 100 watts RMS Sustained. Two aesthetic placement options … gloss side up or cloth side up. Includes four easy-to-install feet.